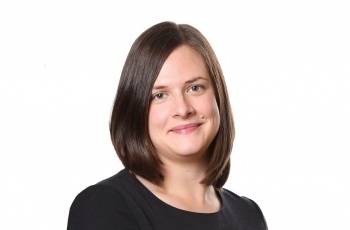 Gemma is a solicitor in the Private Client Department specialising in Wills, Power of Attorney, Court of Protection work, administration of estates and NHS Continuing Healthcare claims. She studied Law the University of Reading gaining a 2:1 degree in 2007 and completed her Legal Practice Course at the College of Law in Chester before returning to her roots in Norfolk. She undertook her training contract at another Norwich firm and qualified as a solicitor in February 2012. She has practised solely Private Client work since 2012, gaining over 7 years' experience in the area. She has been at Clapham and Collinge Solicitors since March 2015. Gemma has recently secured NHS Continuing Healthcare funding for a client residing in a care home so that they no longer have to fund their own care. She also has an extensive history of making successful NHS Continuing Healthcare appeals and retrospective claims. Gemma is married with two young children and enjoys cooking and spending time with her family in her spare time. Advice on options for helping my children onto the housing ladder whilst protecting my own interests was very clear and helpful. Making my Will was a painless and efficient process.